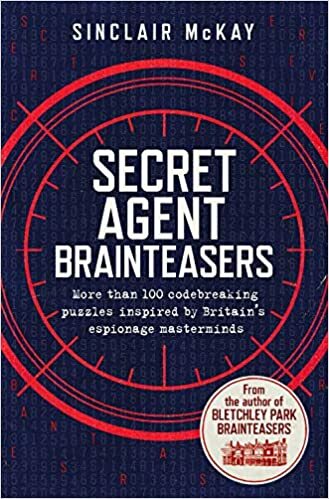 The question of this book is “do you have the mental acuity to be a secret agent?” Light, chatty descriptions of the history of various British intelligence agencies and famous spies alternate with collections of 8-10 puzzles loosely tied to the spy skills described in the historical section. The puzzles vary significantly in difficulty. Many (most?) of them are variations on anagrams and/or arranging words in boxes. In some the spy connection feels genuine and in others it seems like a random puzzle from any old brainteaser collection with the spy bit “tacked on.” A few of the puzzles require knowledge of British places, history, etc. that a non-Brit might have a hard time coming up with. I would recommend this, if you enjoy word and pattern recognition puzzles (and spy trivia). You should definitely go with the printed version rather than the ebook so you don’t have to re-create all the grids, diagrams, etc. on a seperate piece of paper.